Thank you Focus and Social Moms for sponsoring this conversation. What makes a family? My husband and I have one child, so we are a very small family, which is perfect for us, by the way. If you watch The Boxtrolls this Friday, 9/26, you’ll see how families come in all shapes, sizes, and not necessarily related by blood. I am so excited to see The Boxtrolls on Friday with MY family. Get your tickets now from Fandango! What makes a family to you? 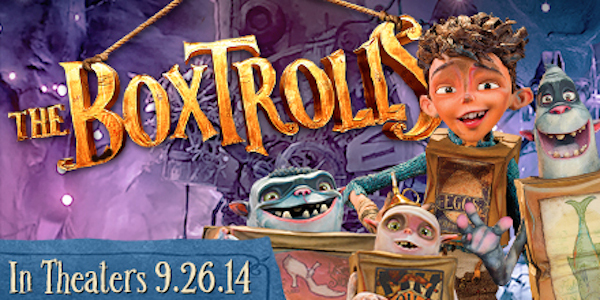 And do you plan on seeing The Boxtrolls? I can’t wait to see this movie either. It looks so good! I believe it will be a big hit! Can’t wait to watch this movie! I love how they handmade everything! I’ve heard of Boxtrolls. We probably won’t go to see it in the theater but wait for it to come out on DVD. We saw The Boxtrolls on Wednesday and all enjoyed it. Definitely unique and odd, two characteristics that fit our family perfectly!